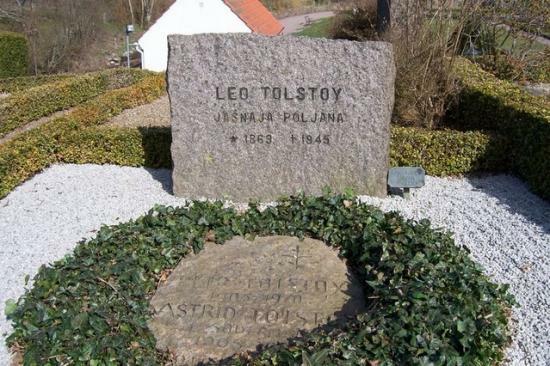 Leo Tolstoy's Grave. Leo Tolstoy's son was also named Leo and is buried in Sirekopinge Kyrka in Svalov Kommun. Wallpaper and background images in the Sweden club tagged: scandinavia sweden sverige image leo tolstoy grave skane. Leo Tolstoy's son is buried in the same graveyard as my husband's father here just outside Tagarp in Sirekoping. He fell ill, so his dad (THE Leo) sent him here for the best medical care. He lived, and married the doctor's wife. They are both buried here, as well as many of their numerous offspring.